Little is known about the often fatal virus known as Middle East respiratory syndrome coronavirus (MERS-CoV), but researchers have identified gaps in infection control as a major culprit in all 11 published cases involving healthcare-associated transmission of the virus. 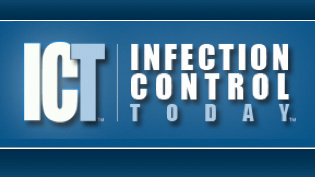 The full findings of the review can be found in the December issue of the American Journal of Infection Control. Researchers from the Hellenic Center for Disease Control and Prevention in Athens, Greece, reviewed 252 papers on MERS-CoV, ultimately narrowing their focus to 10 studies covering 11 cases of possible or confirmed healthcare-associated transmission of the virus, which causes severe respiratory disease with a high fatality rate. Although the majority of cases have occurred in Middle Eastern countries since the virus first appeared in 2012, there have also been documented cases in Europe, Africa, and the United States. Two out of three affected patients have been male, with a median age of 49 years. Healthcare workers (HCW), particularly nurses, are at heightened risk of acquiring MERS-CoV from infected patients from the environment and also through person-to-person contact. The virus has been shown to survive for at least 48 hours on hospital surfaces, and is transmissible through vomit and diarrhea, which present in roughly one-third of cases. MERS-CoV has been detected for up to 16 days in respiratory specimens and stool, and up to 13 days in urine.